The Place: 13 units globally right now, but they’re nothing if not ambitious at Rapha and want to get up to 20 by the end of the year and then keep that growth level up each year. Crikey. The Story: This is really a tale of a biking gear brand not primarily a retailer. Oh, so why … But obviously they do actually sell stuff so they’re in…Don’t question me. Jeez. Alright, carry on: Simon Mottram is the founder and CEO of Rapha and his inspiration in business is John Murphy, legendary inventor of brand valuation at Interbrand. Ummm, I think I get it: No you probably don’t. 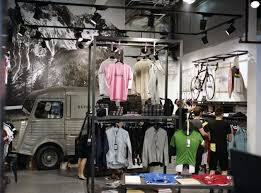 The idea is that a very niche community exists in similar circumstances around the world for Rapha’s products. There are a certain number of potential clients in each country and Mottram is out to get them one city at a time. It is the same, small, high spending community each time but situated in different enclaves. How is the land lying at the moment? Currently 25% of sales are in the UK with the majority of the business overseas. Take me back to the beginning of all this branding malarkey if you would: Back in 2000 when Rapha was founded, Boo.com was busy going down the tubes because buying clothes online was just not a thing. No way, how did people used to buy clothes? Don’t pretend you don’t remember catalogues. It was all about printed matter. Honestly, I’m just too young: Well, the potential of online selling was the catalyst for Mottram – his second customer was from New York. He realised that catalogues could not deliver that same kind of global reach and certainly could not bring the same kind of customer data and engagement that buying online can. He initially went over to Paris to buy vintage cycling gear and only had four or five products, which were sold online. He’d not even got the signature Rapha jersey back then. Low expectations: So low it’s untrue. Mottram thought that perhaps there were customers around but cycling back then was totally under the radar. The move into premium territory for some sports had totally bypassed cycling – he expected sales of maybe £10 million in five to six years. Difficult to imagine cycling as a poor man’s sport: Well, you must. Prevailing view was that cyclists were on-the-scrounge for discounted stuff and so the products made for them were very basic. What Mottram sensed was that cycling actually had more room for turning premium than other sports because it encompasses fitness, adventure, history and culture. Umm. When are we going to get onto the retailing bit? I did say this was an exercise in innovative branding. Even so: Ok, Ok. First and foremost I give you the RCC. Which is? Rapha Cycling Club, which currently 10,000 members of which 2,000 are in the UK. From day one Mottram knew that a whole brand could not be centred around a digital presence alone so the cycling club was born. And where there is a club then we have scope for a clubhouse aka a shop. What’s the deal? 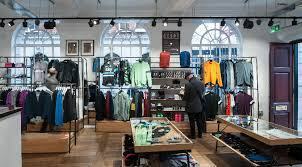 Firstly online sales will lead Rapha to identify a potential community of purchasers, then a club will be set up to harness that communal interest and loyalty. And then the clubhouse will arrive. In Los Angeles, for example, which opens in June the hub is 50 members strong already and opening the clubhouse will then activate that local market. Can we just define this whole clubhouse thing: You will never hear Mottram say he has shops. However this function is taken over by the clubhouse – a large part of which is also given over to a café. These club members shop four times as much as non-members and have a much higher comparative spend. Testament to the value of the brand? Correct. The decision to open retail outlets was not taken lightly however. Rapha opened some the pop-up units in 2010 (around the same time that biking café Look Mum No Hands opened) with stores in London, New York, Tokyo and San Francisco. Blimey, I see what you mean about niche communities around the world: However, after several months of brisk trading when the residency ended three of the four were closed down (only San Francisco survived) as the rents in these prime locations were just too high to take on the long-term leases. But in 2012 a flagship clubhouse was opened in Soho. Huzza: It’s a miracle really that these clubhouses exist because given the large amount of floor space that’s given over to the recreational drinking of coffee. The model should not really fly. But it does. Ah yes, the retail dangers of ‘hanging out’: Plus the killer staff costs which accrue when you are open from 7am to 7.30pm, but there we are, that’s pandering to a community for you. Tell me about these biking types will you? Broadly, they are between 20 – 50 years of age but most are in their late 30s. And this is definitely one for the boys. 80% of customers are male. And what are the boys buying these days? The clothing category accounts for 70% of its sales. And brace yourself – the average spend is £136. But the company also uniquely invests a lot in R&D. What on earth are they researching? Believe it or not, plenty of people work in this department. It’s very full on. There’s even a wind tunnel. Well, that’s serious then: They develop the branded product range – mainly clothing, skincare, and luggage. There is also a young and tiny travel business. What’s left to do? Increasing product range is always on the agenda. Currently standing at 750 products, Mottram aims to increase this by 10% next year. And the mix of sales will also be changing in the future. Currently 75% of sales are digital with 25% over-the-counter sales, however as the number of stores…. Ahem. Don’t you mean clubhouses…Yes, sorry. As they increase Mottram predicts that this figure will increase to 40%. And don’t forget, from the master of brand, the final tactical masterstroke. I am literally all ears: You can only buy the sought-after Rapha-branded goods direct from Rapha. Nowhere else on god’s earth stocks it. Not even Amazon? They are up the creek without a paddle as far as the Rapha brand is concerned. 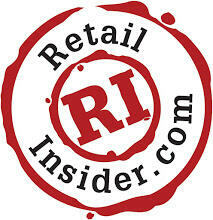 PCMS is a global provider of IT software and services for the retail industry. PCMS offers a full-range of integrated commerce solutions across selling touch points and also provides turnkey managed services and cloud hosting. Its client list includes John Lewis, Marks & Spencer, Waitrose, Whole Foods, as well as Walgreens in the US and fashion brands including Prada and Ferragamo across Europe.